This page displays an up-to-date listing of changes to our membership web. We'll also place notices here regarding membership updates, scheduled meetings etc. May 2018 Board of Directors Minutes published in the Members Only Section. George Matyaszek who has served for many years on the Board of Directors in various capacities including most recently as our Vice President has chosen not to serve on the board of directors. George, will continue as one of the SIG leaders and will continue to participate in our organization. George, also has been our advertising coordinator and will continue in that capacity. I personally want to thank George for everything that he does for our organization and is willing to continue to do. He is an extremely valuable member of CACHE, and most importantly a valued friend. All other board of Directors have been re-elected to their previous positions except Jack Muldoon who has been elected as Vice President. April Board of Directors Minutes published in the Members Only Section. March Board of Directors Minutes published in the Members Only Section. December Board of Directors Minutes published in the Members Only Section. November Board of Directors Minutes published in the Members Only Section. October Board of Directors Minutes published in the Members Only Section. September Board of Directors Minutes published in the Members Only Section. August Board of Directors Minutes published in the Members Only Section. 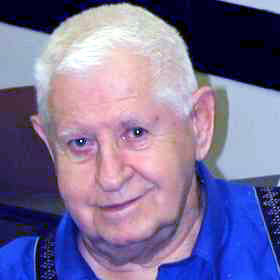 It is with great sorrow and regret that a valued Cache member, Bob Scholl passed away Tuesday August 20, 2002 at 2:00 AM. Bob was a long standing member of CACHE, had served as Secretary and was on the Board of Directors for quite a number of years. Our regular meeting was scheduled for June 16 which is fathers day, so we changed the meeting date to June 9th..Unknown to us at that time, our regular presenters i.e. Cliff, George, and Peter were all unavailable for the meeting on June 9th. After surveying a number of people on the Board of Directors as well as several of the members it was determined that it would be best to cancel the June 2002 meeting and resume our normal schedule in July. Some "Networking Basics" have been published in the Members Only Section. It is highly recommend that you print these out and bring them with you to the meeting. February Board of Directors Minutes published in the Members Only Section. Cliff Barber, George Matyaszek, and Peter Hru are interviewed by Jason Scott for his documentary and book on the History of the BBS. Many of you might not be aware that the very first BBS in the world was created by our own CACHE members Ward Christianson and Randy Seuss. They created CBBS on February 16, 1978 Cliff was a member of CACHE at that time and George ran Chicago Syslink for 19 years. Peter also ran a BBS for eight years and was instrumental in creating the SDN (Shareware Distribution Network) network. January Board of Direcors Minutes published in the Members Only Section. on to the CACHE secretary for general broadcast. New aaw56.exe put in the members only download section and replaces v4.0. This is the latest Ad / Spyware removal program from Adware. Swap Fest confusion. I apologize to all members that were hoping for, or who had prepared for a swap fest. I had announced the swap fest with out first checking if we could have one at the Levy Center as well as not discussing it with all of the Sig leaders. It was an idea presented to me by one of the Sig leaders that I believed to be a good idea. Don't forget that we have the classified ad's section that you may advertise your products on. New navigational bar added to the web site to help you get around the Cache Website. Members E-Mail section now contains all of the members who we have e-mail listed with links to their e-mail so that you may communicate directly with any other member.